More than 20 companies came on campus in the month of April; most of them participated in the sector-specific Talent Forums that Talent and Careers organized. Talent Forums provide the perfect opportunity for students to meet recruiters face to face. 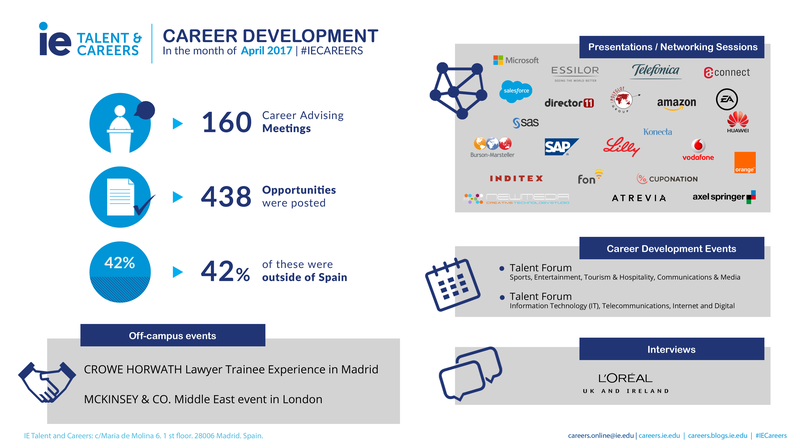 The following is a summary of IE Talent and Careers‘ career development activities with companies and students during the month of April. As a result, the department is able to provide on-going, top quality service to students across all IE programs.